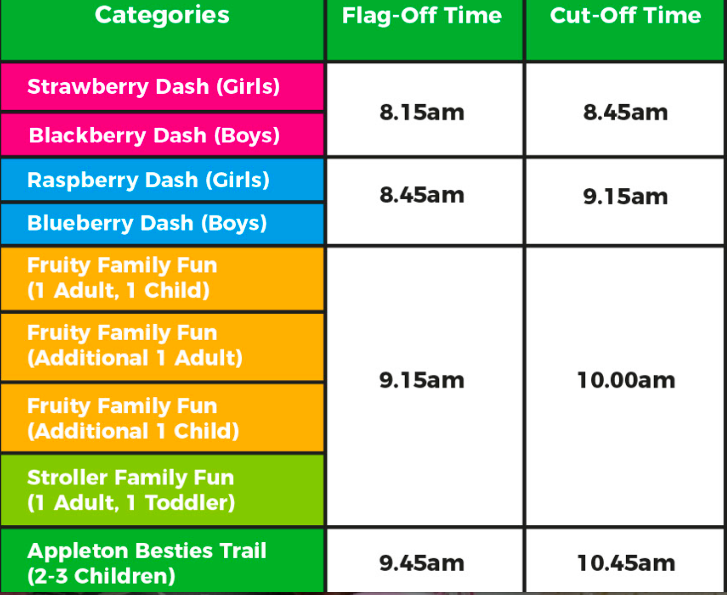 Cold Storage Kids Run 2018: Flag-off & Cut-off Times and Other Last-Minute Information | JustRunLah! 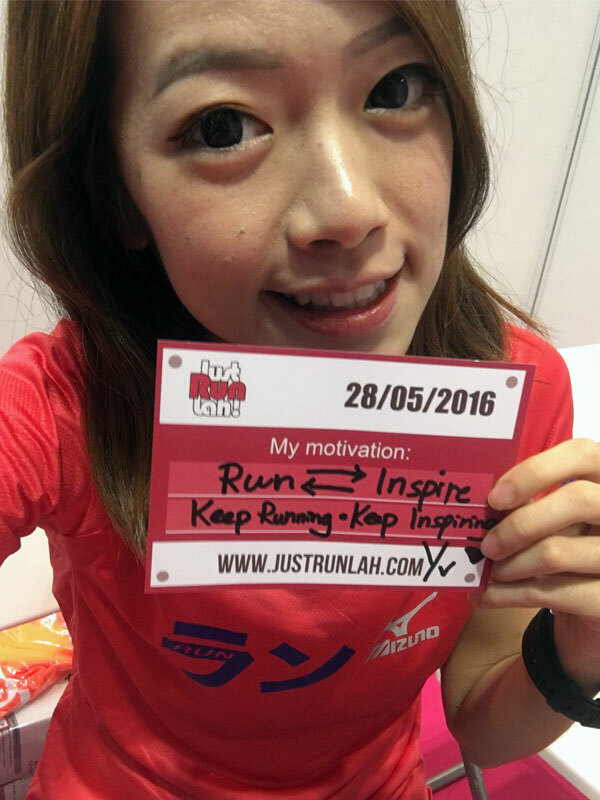 Singapore’s first kids-focused running event, Cold Storage Kids Run is back on 20 May! We know many of you are going for this event and so here are the last-minute information that you need to know! 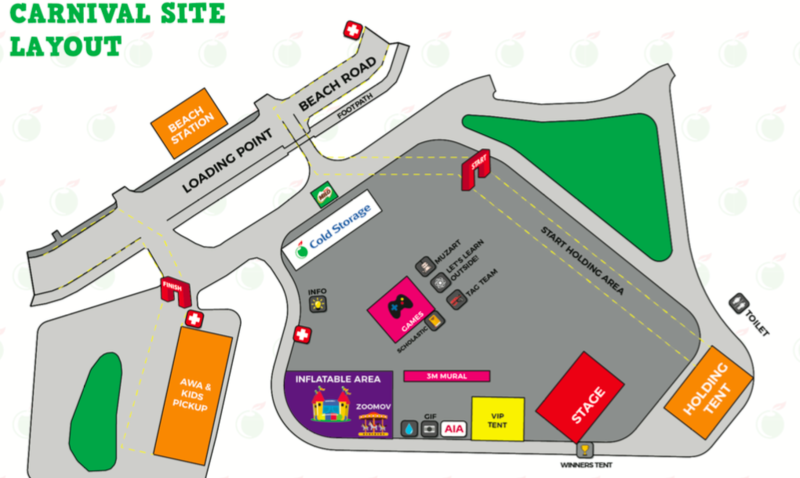 The race starts at Sentosa Palawan Green (beside Beach Station). Take the North-East Line or Circle Line and alight at the HarbourFront Station. From there, you may either go to the 3rd level of VivoCity shopping mall and transfer onto Sentosa Express or you may take the Sentosa Boardwalk. Take a bus and alight along Telok Blangah Road. From there, you may either go to the 3rd level of VivoCity shopping mall, transfer onto Sentosa Express, or you may enter via the Sentosa Boardwalk. 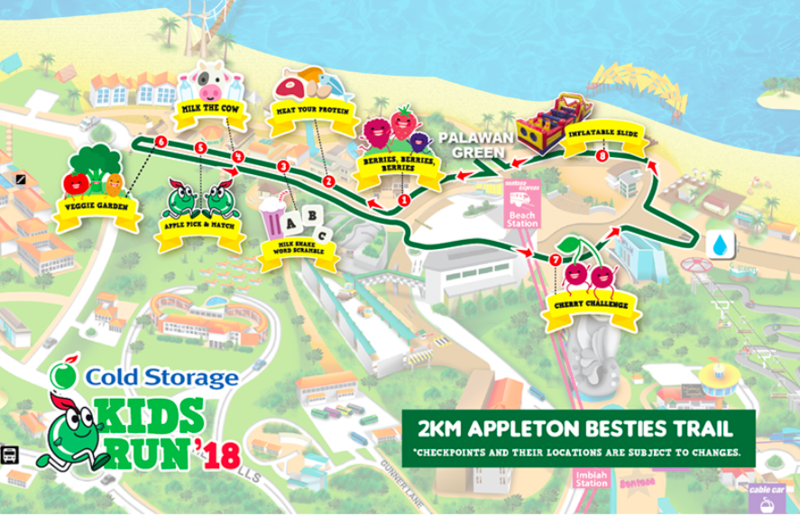 Free Entry by car/taxi by presenting your Cold Storage Kids Run 2018 race bib. Carpark lots are limited at Beach Station. We recommend that you park at VivoCity and transfer onto Sentosa Express. *Free entry covers all passengers aboard the vehicle. 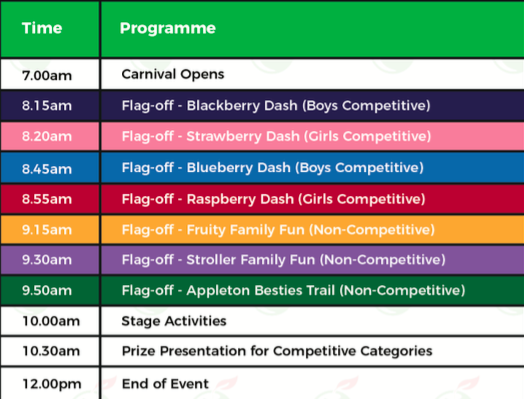 The all new Appleton Besties Trail is a 2km non competitive course featuring checkpoints for the kids to learn about nutrition. The teams of 2-3 kids will work together to complete simple obstacles and educational activities along the route. The route features 4 zones – Fruity Zone, Veggie Garden, Protein Zone and Dairy Zone with fun mini obstacles and educational activities – solve riddles, spot mascots, and complete a series of challenges together! There will be no baggage deposit. 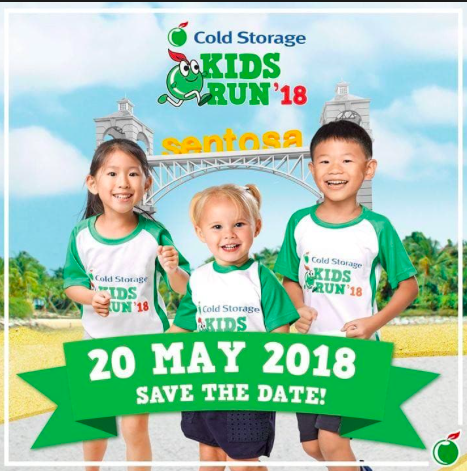 For more details, please visit Cold Storage Kids Run 2018 Official Website.